Now I know that it’s crazy early to be thinking about the holidays, but I’m a girl who likes to be prepared. That means stocking up on all the necessary gifts, and an extra few for those I forget about, ahead of time and never having to deal with the last minute freak out with forgetting a gift. 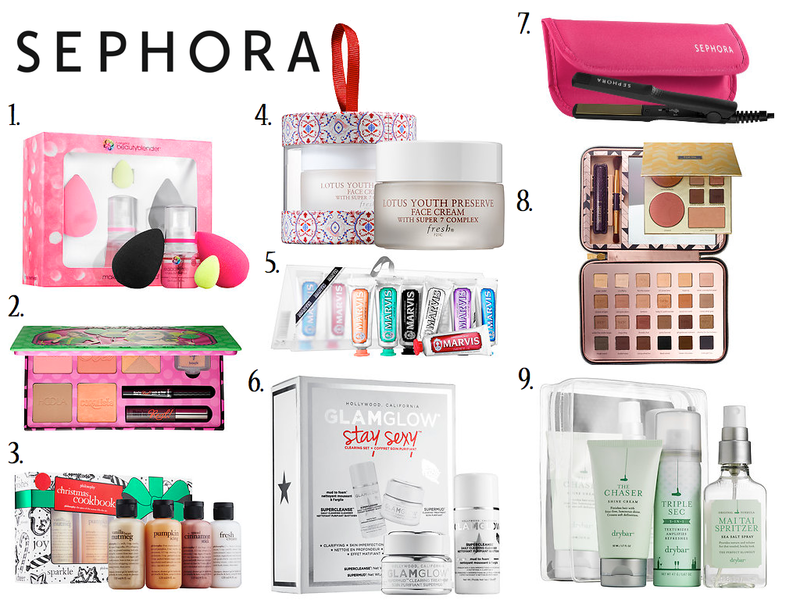 Sephora seems to be WAY ahead of the game here releasing a whole slew of amazing gift sets and kits, perfect for every beauty lover in your life. Seriously, some of these kits are so tempting, I’m thinking of buying a few extra for myself! The Fresh Lotus Youth Preserve Face Cream ornament is so cute, but I would be tempted by anything that’s miniature and hangs on a Christmas tree. Plus, it’s my absolute favorite when it comes to moisturizers. I’m also super tempted by the Philosophy Christmas Cookbook Set. It comes with four mini bottle of delicious holidays scents from pumpkin icing to cinnamon buns. Every shower would make me excited to celebrate the season! If you’re someone who likes to be totally stocked up on holiday gifts, check out some of my favorites below and get to shopping. Love your selection including Marvis because for some folks its all about the smile!